Orange is the new Green! When an ordinary billionaire businessman accidentally suffers a massive overdose of ego-boosting and internet access, he becomes seven news feeds, one thousand tweets of unstoppable political fury: The Tremendous Trump! 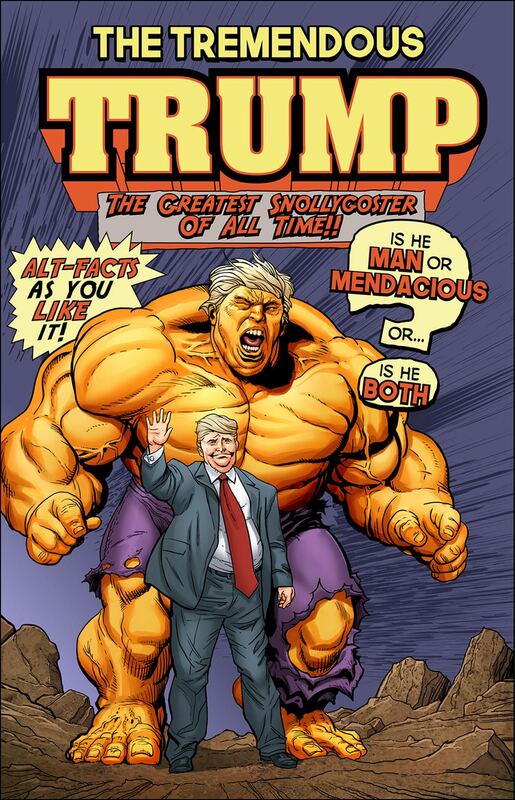 He's "hyuge", and the angrier he gets, the more bigly he gets, until he's the best, believe us.